Around this time last year, Microsoft launched its new line of ultraportables/tablets called Surface. Though well received, it didn’t sell as well as Microsoft hoped and was mostly criticized for not being able to target a specific segment of the market. However, it was equally praised for its build quality, light weight and a great accessory, the Touch Keyboard. Today, Microsoft announced the successors to the Surface line, here’s all you need to know! 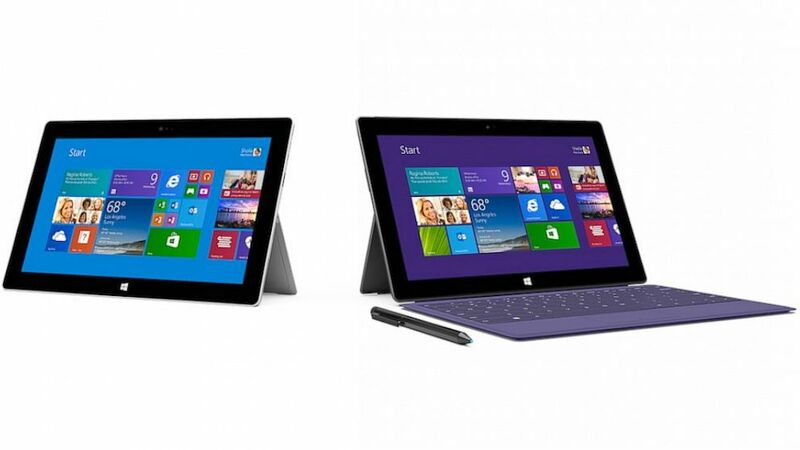 The original Surface was launched in two flavors, the Surface RT and Surface Pro. Although they were both quite similar, the Surface RT ran a scaled down Windows 8 edition called Windows RT, that ran only Windows Store apps, but not legacy programs. The Surface RT was also the first Windows device to run on an ARM based processor. On the other hand, the Surface Pro was pretty much equivalent to an ultrabook, but with slightly cut down storage options. It actually ran the full desktop version of Windows 8, could run programs like any other computer and was the more expensive of the two. The Surface 2 will start from $449 and come with a new kickstand that offers more leaning angles, which was a common complaint against the first gen Surface line. Bumped up cameras in both the front and back will please those who video chat frequently, and Microsoft claims that the front facing camera is meant to let in more light for a better video chat experience. The close to ultrabook specs are backed up by a larger 42 Wh battery that should last for around 5-6 hours or so. It’s mostly geared towards power users, who would require the sort of guts the Surface Pro 2 provides, in a thin and light chassis. 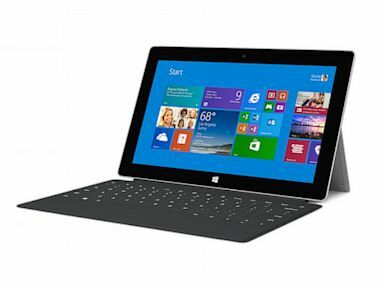 Pricing starts from $899 and it will be available starting October 22, just like the Surface 2. To sweeten the deal, Microsoft is throwing in a whopping 200 GB of SkyDrive storage for 2 years as well as free Skype International calls for 1 year for both the Surface 2 and Surface 2 Pro. Apart from this, you will be able to expand both devices functionality by the range of new accessories, which include a new Touch Cover, a new Type Cover, a Power Cover, a Bluetooth wireless adapter and a fantastic new addition called the Surface Music Cover. While the Touch and Type covers are upgraded, thinner/lighter and smart-backlit versions of the previous ones, the Power Cover is the same Type cover with an extra battery built in that should add 4 hours of battery life to the Surface Pro 2 and ostensibly more to the Surface 2. 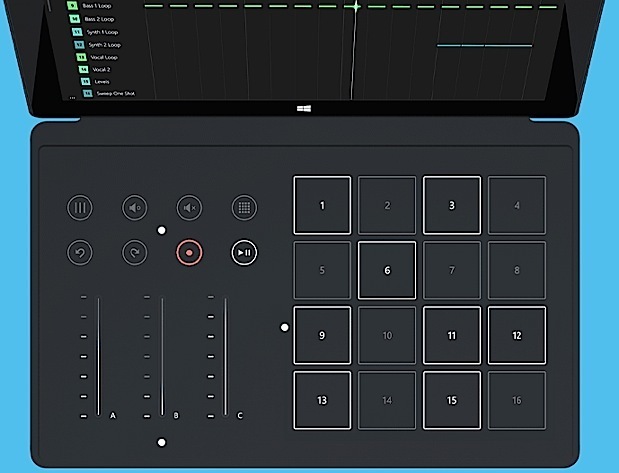 The coolest new accessory is the Surface Music Cover, a pressure sensitive pad with upto 16 programmable buttons that lets DJ’s and Music Producers to produce tunes even on the move. It’s also backlit, like the other covers. All of the accessories will be available on the launch date of October 22, save for the Power Cover 2, which is expected early 2014. So what do you think of the second coming of Microsoft’s Surface line, have they become viable options or are they still nowhere near worth it? Let us know via the comments below!